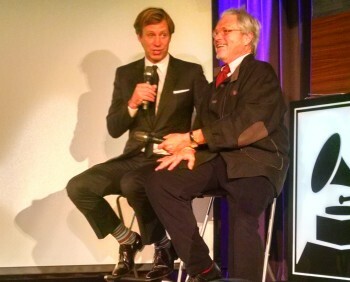 Giles Martin and Michael Lindsay-Hogg talk “Beatles 1” & “Beatles 1+” at the Grammy Museum, Nov. 10, 2015. Photo: Stephen K. Peeples. “Beatles 1” and “Beatles 1+” reissue audio producer-engineer ‎Giles Martin and renowned film director ‎Michael Lindsay-Hogg appeared live at the Grammy Museum’s Clive Davis Theatre in downtown Los Angeles on Tuesday evening, Nov. 10, 2015. The duo presented highlights of and recounted stories about the new stereo and 5.1 surround audio mixes and more than 200 minutes of restored promotional film clip footage featured on the newly updated and expanded Beatles greatest hits collections released four days earlier. Apple dropped the original 27-song “1” album through EMI/Capitol Records in November 2000. The compilation of U.K. and U.S. No. 1 Beatles hits spanning 1962-1970 has sold more than 30 million copies worldwide. As the Davis Theatre audience of about 375 Fab Four fanatics listened intently, Grammy Museum exec director and moderator Rob Santelli prompted Martin and Lindsay-Hogg to share a few stories about “Beatles 1” and “Beatles 1+,” which the duo did between the projection of about a dozen clips on a large screen onstage. 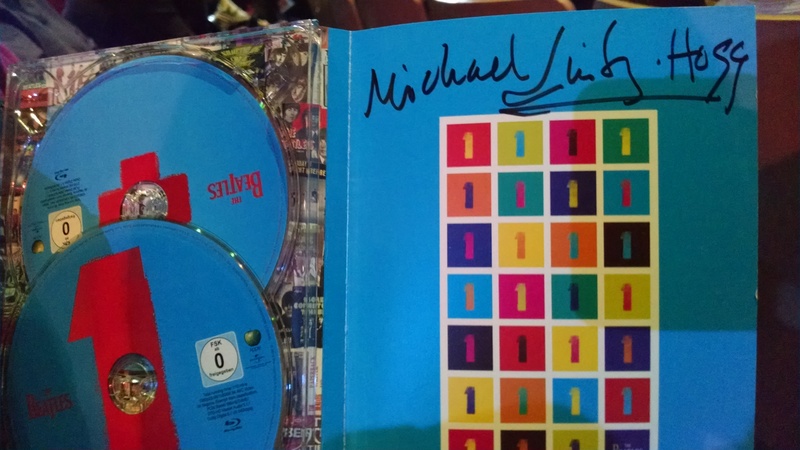 “Beatles 1+” Blu-Ray set signed at the Grammy Museum by renowned film director Michael Lindsay-Hogg. Photo: Stephen K. Peeples. The visuals were stunning — cleaned up versions of familiar and rare clips that will finally replace the funky copies we collectors have been swapping for years. The audio as heard on the theater’s state-of-the-art sound system blew the audience’s hair back. Martin’s stereo remixes, done with great care to preserve the magic fans all know and love, sound better than the original stereo mixes. Those were created when mono still ruled, stereo was new, and stereo mixes were afterthoughts for Giles Martin’s father, George Martin, The Beatles’ original producer. For the final 10 minutes of the nearly two-hour event, Santelli fielded questions from the audience. One question had to do with producer George Martin encouraging George Harrison to write more, and why John Lennon and Paul McCartney dominated Beatles songwriting on record in the early years, as well as later as the band was about to break up. Another member of the audience asked why Paul’s front tooth was chipped in the clips Lindsay-Hogg directed for “Rain” and “Paperback Writer,” both shot the same day. There had been a mishap the day before but the shoot went on regardless. Another visitor asked about a random piece of vocal in “Hey Jude” that was once buried in the mix but is now audible through digital fabulosity. 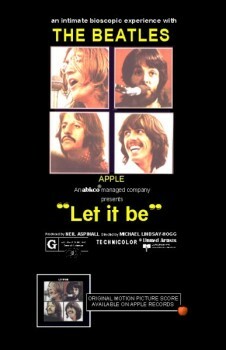 Lindsay-Hogg filmed The Beatles’ tense but productive January 1969 “Get Back”/”Let it Be” sessions, climaxing in the band’s performance on the Apple headquarters rooftop on Jan. 30. That historic performance was the last time The Beatles played in public. This writer also asked Lindsay-Hogg about the status of the “Let it Be” film’s restoration, audio remixing and release. “Let it Be” along with the Shea Stadium and Hollywood Bowl concerts are among the last significant pieces of the Fab Four film legacy that have not been digitally restored and reissued. “(“Let it Be”) is on my to-do list,” Martin said of the audio. 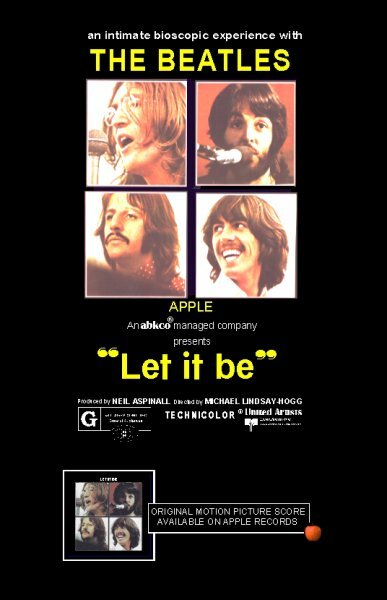 Lindsay-Hogg joked about Apple’s pace but diplomatically said “Let it Be” would be restored eventually, when Apple was ready, and whenever that might be, it would be done right. “It will be released…someday,” he said. A final questioner thanked Martin for his stellar work on the “LOVE” and “1+” projects and asked that he extend good wishes to his father on behalf of the fans gathered that night. As the audience applauded in agreement, Santelli wrapped it up. Martin and Lindsay-Hogg thanked Santelli, then bolted from the building in about 12 seconds. A splendid time was had by all, including acquaintances and friends Chris Carter of “Breakfast with the Beatles” on KLOS-FM/Los Angeles and Sirius/XM; Les Perry, host of “Saturday with The Beatles – The Saturday Club” on KCSN-FM/Northridge-Los Angeles; Laura Gross of LEG Productions; collector Steve Resnik; journalist Steve Hochman; and archivist/producer Mike Johnston. Santa Clarita journalist and Grammy nominee Stephen K. Peeples was the original writer-producer of the award-winning “The Lost Lennon Tapes” radio series, heard worldwide on Westwood One from 1988-1990. 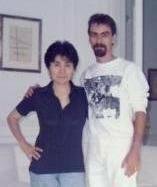 He was 12 1/2 when he saw The Beatles on “The Ed Sullivan Show.” Today he is an entertainment reporter for Santa Clarita, California television station SCVTV and its website at SCVNews.com, and for Santa Clarita radio station KHTS AM 1220 and its website at Peeples Place at HometownStation.com. Peeples hosted and co-produced SCVTV’s WAVE-nominated “House Blend” music and interview program for five seasons, 2010-2015, creating 69 shows spotlighting local artists performing their original material. He was also an award-winning newspaper online editor, and an in-demand website project manager and content editor. He blogs at his personal site, http://www.stephenkpeeples.com.